Practice Areas | Bugg and Wolf, P.A. While the majority of our practice is concentrated in the areas mentioned below, our attorneys are always willing to assist our clients with other matters. Our attorneys are among the few attorneys who have actually tried lawsuits against the NCDOT and obtained landmark judgments favorable to our clients. We have decades of experience in assisting contractors in obtaining supplemental agreements they are due, or preserving and prosecuting their claim rights in the event the NCDOT fails to timely acknowledge their right to additional compensation while the project is ongoing. Our firm regularly prosecutes verified claims and lawsuits against the NCDOT. In addition to being familiar with the laws that govern claims against the NCDOT, we are also well versed in the claims provisions of the NCDOT’s Standard Specifications for Roads and Streets. Our familiarity with the applicable statutes and regulations not only allows us to handle your claims in a cost effective manner, but this can also afford you the advantage you deserve to assure that your claims are heard on their merits instead of being dismissed on a technicality. Our attorneys have extensive experience in dealing with the multitude of federal government agencies and institutions operating in North Carolina. Whether you are dealing with the Corps of Engineers on a military project at Fort Bragg or the Environmental Protection Agency in Research Triangle Park, we have the experience to assist you in the multitude of contract issues and disputes that can arise on Federal construction projects. We often assist subcontractors in their efforts to obtain payment for work they have performed on either publicly or privately bonded projects. We know how to assure that your right to prompt payment is perfected and preserved in full conformance with the laws and contract issues unique to North Carolina’s Little Miller Act as well as North Carolina’s statutes requiring prompt payment to subcontractors. Alternatively, we are also experienced in assisting our general contractor clients and their bonding companies in defending against any unjustified claims against their payment or performance bonds. Our attorneys are well versed in North Carolina’s public procurement laws, regulations and standard form contracts. We can assist you in preserving and prosecuting your claim rights during and after a project is complete, so that any additional compensation due you can be recovered. Our practice includes prosecuting and defending claims for payment under the Federal Miller Act payment bond requirements. In addition to contract disputes before and after construction, our practice includes representation of clients in bid protests, bid mistakes and debarment proceedings at both the State and Federal levels. Our attorneys regularly assist clients in all phases of the commercial collection process from the initial demand for past due amounts through the collection of debts after a judgment has been entered. From the routine to the complex, we have substantial experience with debt repayment plans, foreclosures, asset recoveries, collection litigation and enforcement of judgments. We are well-versed in the complexities of North Carolina’s lien and bond statutes as well as the Bankruptcy and Uniform Commercial Codes. With our concentration in construction law, we have particular expertise in representing general contractors, subcontractors, material suppliers and equipment leasing companies in collecting for work and materials supplied to improve real property. 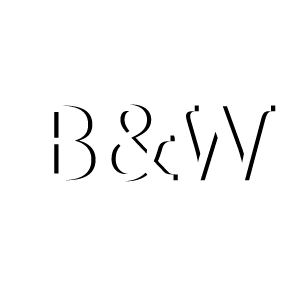 In addition to the extensive experience our attorneys have handling complex public construction disputes, Bugg & Wolf also routinely takes on other commercial litigation cases for businesses large and small. Our attorneys have experience both bringing these claims and defending against them, and will help you every step of the way from the filing of initial pleadings through discovery, settlement negotiations and, if necessary, trial. Our attorneys have extensive courtroom experience, and the firm has developed a reputation for its ability to take a case to trial if that is in the client’s best interest. While we are well-versed in the issues facing those in the construction industry, we also assist clients with issues ranging from employment law, to insurance coverage disputes, to regulatory compliance. Bugg & Wolf’s attorneys have the knowledge and experience to assist you and your business with any commercial dispute it may face.